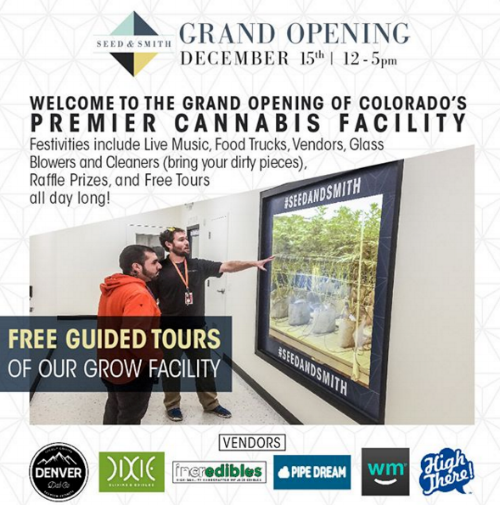 MEET & GREET | SEED & SMITH | GRAND OPENING PARTY — Denver Dab Co. Seed & Smith GRAND OPENING party time! #DDC will be at the shop (5070 Oakland St, Denver, CO 80239) in #Denver on Friday, December 15th. We will be there from 12:00pm-2:00pm - but the party goes until 5:00pm.